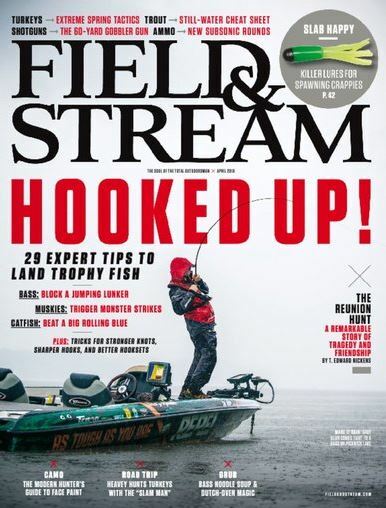 Today you can get a one Year Subscription to Field & Stream Magazine for just $4.99! Just use code: TOTALLYTARGET at checkout. This deal will be live through tomorrow night, March 20th at midnight (EST). You can order up to 3 years at this price and keep in mind that magazines also make great gifts and Discount Mags will send a FREE e-card to the recipient too! About Field & Stream Magazine: Field and Stream Magazine is Americas Number One sportsman’s magazine. Field and Stream features comprehensive articles on hunting, fishing, outdoor adventure and conservation news.